I was fearing a Fear Her retread and was pleasantly surprised about this stand alone, bunker, ship in a bottle episode. So, after last week’s “let’s cramp a two parter down to 1 episode and get River Song character sorted in 48 minutes”, we have an episode that feels like episode eleven before the final two episodes of the season. I mentioned Fear Her because that episode featured the same theme of children and bad dreams theme. Both episodes tried to handle it, Fear Her was worse I feel because, it just didn’t click with me and the whole track housing feel did not invoke any Poltergeist moments. 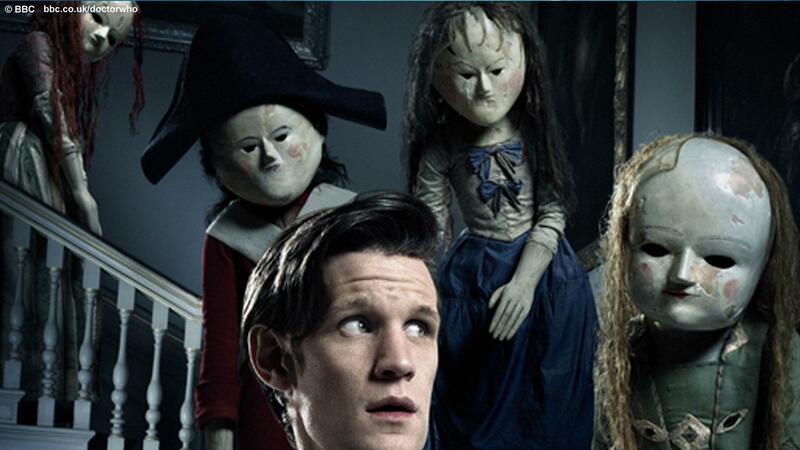 Night Terrors on the other hand, felt like a proper children’s fear episode. Filmed in the dark and kept as a ship in the bottle-type of episode was fun ride since the villains introduced looked really creepy and the lights didn’t come up until the end. The Doctor and Co getting sucked into a cupboard was nicely done. Amy gets points for thinking better of it and getting the wooden pan as a weapon and costume department gets more points for being dressed her as an adult in boots, the scarf and jacket instead of what she wore for the first half of last season. I’ve mentioned in several reviews that movies as of late had filmed scenes too dark but Night Terrors was filmed properly in the dark and in a big enough house to instill some sort of general creepiness. The explanation in the end was quick and easy just like Fear Her: aliens masquerading as humans. I don’t mind the resolve since they didn’t spend hours putting make up onto the child actor they kept it simple and just didn’t show it. I don’t know if the fans are going to try and attempt these costumes or not at cons, if they do they’re going to need friends to help them navigate through crowds with those heads. Judging from the reviews, next weeks looks like a head trip. This entry was posted in Geekdom, Reviews, television and tagged doctor who, reviews, Television by RK Bentley. Bookmark the permalink.